I like the look of the summoned spells so far. It's interesting that whoever goes second in a round gets first pick to control them. Force players to mix up their turn order a bit instead of always fighting to go first. Outside of tournaments and the first battle round, I've never seen anyone give away first turn, especially if you get the double-turn. The endless spells, and the LoTR resolution ot the roll-off where a draw means the choice goes to the person who didn't get it last might mean double-turns are less common, or less overpowering. Free People in the new edition sounds promising! They want me to have 30 crossbowmen in one unit, eek! That seems like 8th edition all over again. Yes and No. It's not like the units of 50 or 60 Empire troops we saw in 8th edition, or 200 goblins or 100 zombies I've seen in 8th. 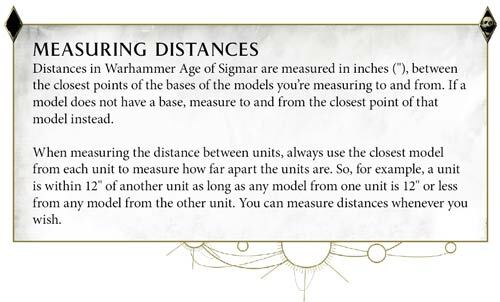 But also not like the units the size of one box that we had at the start of Age of Sigmar before points came along. Base troops hardly featured on the tabletop at all, until the first GHB came along and Battleline became a requirement for matched play armies. And GHB2017 added points discouts for max sizing units - not much, and very few units have a max size above 30. Skinks, Grots and Clanrats. Pretty much every other battleline tops out at 30. And even then, with battleshock the way it is, large units can crumble from battleshock if they take a lot of casulaties, so unless you can protect them from taking too much damage or make them immune, or resist battleshock, you can be as well off with multiple smaller units, though many freeguild units benefit from rules that give them bonuses for bigger units - rules that have been in since the start 3 years ago. There has been a little shift to bigger units, but not in a huge way like hordes did in 8th. Also, there's been a lot of debate at tournaments over time management with big armies, and how long it can take to move miniatures - especially in the more precise way required at that level, and whether taking too long isn't good for the game. I feel at the moment it's about right. I like the focus! I like where it seems to be heading, not to mention just getting mentioned. I like that they seem to be adding a lot more flavour rules without making it feel as cluttered as 8'th edition WHFB. This will also be sthe place to start from to make our introduction thread I suppose.